Kunstrux, the Washington and Oregon targeted construction project pairing startup, has released a special offer for new members who sign up for the premium professional account. By using the promo code SKILLED, new users will receive a 60 days free premium membership access with all the features and benefits included. Through the offer, we invite local contractors to try our service free for 60 days. Our platform will save them time and enhance the efficiency of finding clients and growing businesses. 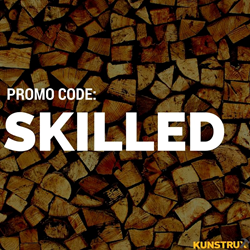 Kunstrux, the Washington and Oregon targeted construction project pairing startup, has released a special offer for new members who sign up for the premium professional account. By using the promo code SKILLED, new users will receive a 60 day complimentary premium membership with all the features and benefits included. Kunstrux is a newly founded web-based portal providing an easy-to-use platform to help connect construction professionals with property owners who have immediate needs on home improvement or remodeling projects. To encourage more local contractors to learn about the service and experience Kunstrux’s self-developed Builder Score rating system, the company is providing a 60-day no-cost trial to their premium professional account. Contractors who are interested in learning the new way to drive local customers can have a no-risk chance to try the system. Kunstrux is a web-based portal that provides services of matching qualified contractors with residential and commercial construction projects. Its like-no-other credit scoring system provides a neutral assessment to contractor's capability, which allows contractors to promote business easily as well as help property owners find dependable professionals. To learn more about Kunstrux, visit the website at kunstrux.com.